Etsy is setting up an office in Berlin, to promote Etsy crafters and artists to European audiences. Matt and Benedikta are decorating their workspace with all manner of hand made delights, so cool! 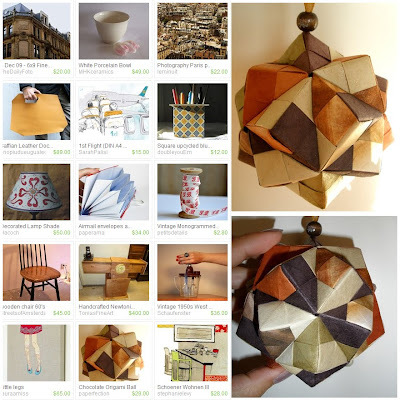 Also cool: their blogpost features Tamara's yummy chocolate origami ball and she's in good company: A bite, anyone? Thanks, Marta, for updating us! wow, congrats! A toast to more sales!!! Congrats to you! And I wish Etsy in Europe Good Luck!